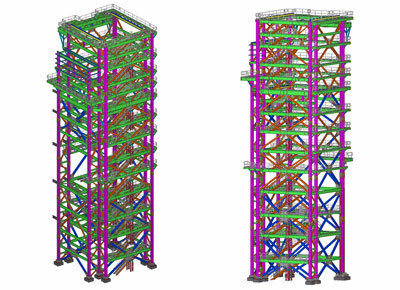 We partner with structural design firms, structural engineers, contractors and construction companies for developing structural BIM models in Revit Structure or Tekla for steel detailing. Our Structural BIM services aim to uplift the efficiency of construction projects by delivering coordinated structural 3D BIM models and plans with comprehensive information. With an experience of 25+ years in offshoring industry, our Structural BIM teams can handle projects of any size, scale and complexity. Speak to our Structural BIM engineers and consultants for eliminating your queries. Ahmedabad- 380 052 (Gujarat) India. Copyright © 2019 Hi-Tech BIM. All Rights Reserved.